Two or three centimeters of tire form the rider's only contact point with the road, so this small area is one of the most important components on a professional racing bike – and certainly one of the most critical. Without tires, the bike simply won't work. 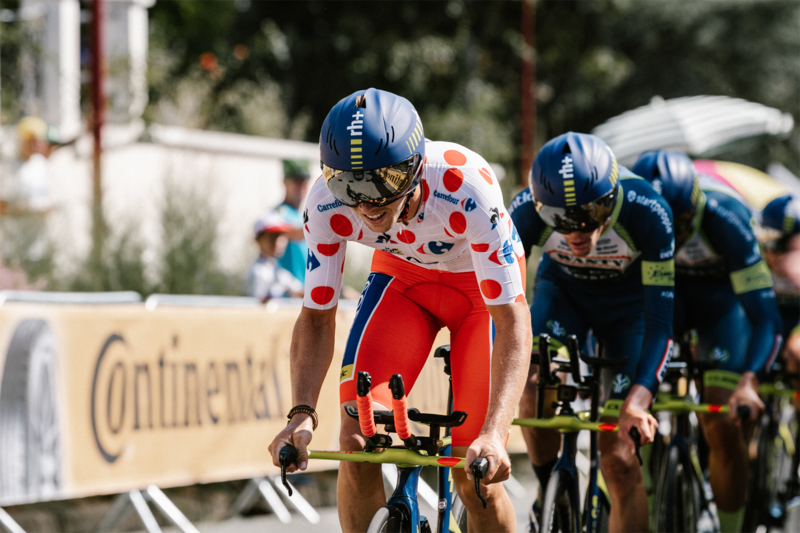 That is every bit as true for a casual cyclist as it is for the professionals racing in the colors of the world's top cycling teams, where nothing is left to chance when it comes to the equipment they provide for their riders. Each of the teams competing in the Tour de France, which started last Saturday, has a team truck where they keep the "black gold" for their riders. But these secret domains where the mechanics work their magic are strictly off limits to most people. Many teams go to great lengths to stop people even looking inside their team trucks! And that certainly applies for the seven teams who are using the latest high-tech products made by Continental's elite tire specialists in the German town of Korbach. 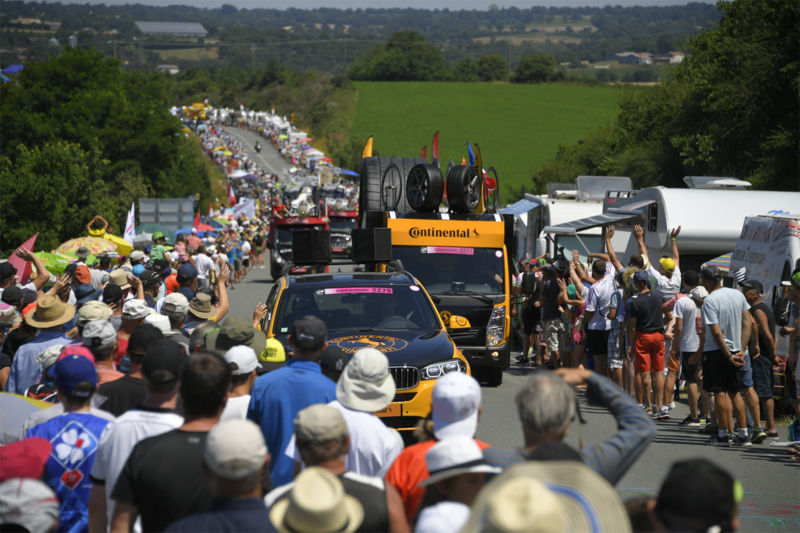 Sky, Movistar, Bahrain Merida, Katusha Alpecin, Française des Jeux (FDJ), AG2R and Dimension Data are all riding on "Contis" during this year's three-week Tour de France, covering almost three and a half thousand kilometers. They know that whatever the terrain, whatever the conditions, whatever the weather, Continental has the right tire. Tires are the only constant connection between a vehicle and the road. That applies to cars as much as it does to bikes, but cyclists have a more intimate relationship with their tires than most car drivers. Good bike tires for everyday use generally have to meet three conditions: they should be long-lasting, provide protection against punctures, and offer good value for money. In professional bike racing, of course, that last issue, the cost, is much less important than having the right tire. 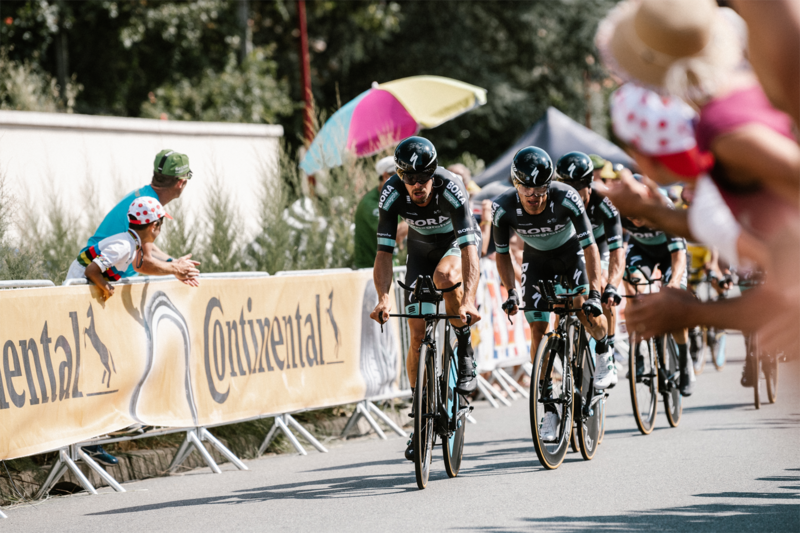 To ensure that its series production tires deliver on these requirements without fail, Continental’s research and development work naturally includes a focus on the top end of high performance cycling. Professional team riders are invariably the first to benefit. The qualities that the Tour teams want most are the lowest possible rolling resistance, good puncture resistance and good grip for high-speed cornering. The Continental Competition is a tubular tire that is suitable for all weather conditions. With a tubular tire, or tub, the latex inner tube is stitched by hand into the tire, which is then glued to the rim. Tubular tires typically have slightly more rolling resistance, so Continental's experts have been working on this perceived drawback to maximize the tire's efficiency. The design of tubular tires means they can be ridden at higher pressures than the more common clincher tires. But the real advantage of tubular tires is safety. When the Tour reaches the Alps and heads into the high mountains, the riders can reach speeds of up to 120 km/h on the long, twisting descents. If a tire bursts and jumps off the rim, a crash is almost inevitable. The thin Lycra skinsuits that the riders wear offer little by way of protection, so a tire failure on a descent is every rider's worst nightmare. Which is why Continental has made safety its top priority when developing race tires for professional cyclists. And tubular tires offer greater potential for this sort of continuous improvement than clinchers. Tubular tires offer other benefits, too. In the event of a puncture "on the flat", a rider using tubular tires can often keep riding for a few hundred valuable meters until their team car reaches them for a quick wheel change. And that means they can minimize how much time they lose to the main field or to their breakaway companions. Until a few years ago, tire development engineers thought that narrower tires were best. Today that's no longer the case, with 25 millimeters now considered the ideal width in terms of rider comfort, while a slight increase in wheel circumference brings benefits in terms of speed. The stage to Roubaix on July 15 will be particularly challenging for the riders, and for their mechanics. The cobbled sections that feature in the world's toughest one-day Classic, the Paris-Roubaix race, present a serious challenge for the tire engineers too, not to mention the bike manufacturers who supply the team bikes. The riders need two special bikes for the pavé sections as they tackle this "Hell of the North" stage – in addition to their normal race bikes and two time-trial bikes. There will be nothing standard about the bikes and the tires the teams select for the rigors of this unique stage. The mechanics will do everything possible to reduce the impact of the bumps and vibration from the rough cobbled tracks. As well as special frames, the bikes will also be fitted with wider tires, inflated to precisely the right pressure to achieve the best possible compromise between rider comfort and the risk of punctures as the peloton speeds over the most treacherous surface encountered in professional cycle racing. Even two or three millimeters can make all the difference here, and the choice of tires will be as crucial as in Formula 1. To survive this ultimate test over the cobbled roads of northern France, the tire pressure is every bit as important as the width of the tires. These two important factors have to work together. The right tire pressure doesn't just make things more comfortable for the rider, it also optimizes the contact area and offers better grip. Above all, though, getting the tire pressures right reduces the risk of a puncture. The hand-made tires produced in Korbach have been repeatedly tested for these extreme conditions, and their design refined and optimized to cope. So for many teams, the same Continental tires used in the one-day Paris-Roubaix Classic will also be their first choice for the ninth stage of this year's Tour de France.